150 bhp, 2,000 cc DOHC Yamaha aluminum hemi-head inline six-cylinder engine with three Solex carburetors, five-speed fully synchronized manual transmission with overdrive, four-wheel independent suspension, and four-wheel power-assisted Dunlop disc brakes. Wheelbase: 91.7 in. Gunfire erupts and James Bond jumps into a white Japanese sports car. The car speeds onto the streets of Tokyo, its twin-cam straight-six wailing away as Bond tries to escape the gunmen in hot pursuit. From the city streets, the car heads up the mountain roads, showcasing not only its straight-line speed but its finesse around the corners. 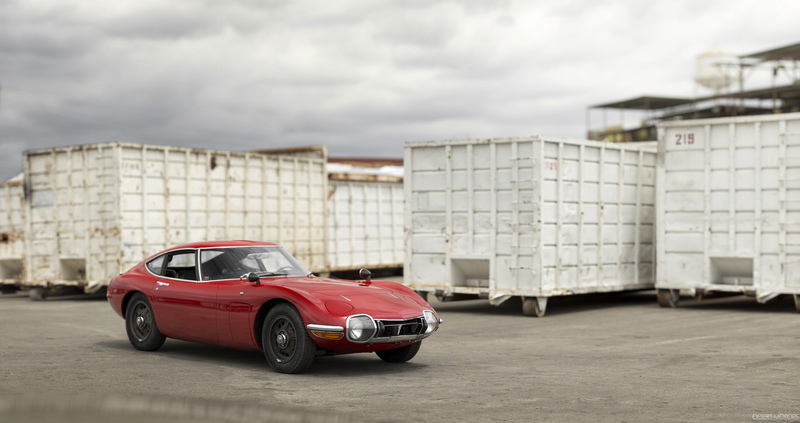 That was how the world was introduced to Toyota’s first true sports car, the 2000GT. Even though the 2000GT featured in You Only Live Twice was a convertible (a one-off built for the movie, to allow the 6?2? Sean Connery to fit inside), the 2000GT clearly left a lasting impression on the millions of viewers. Toyota had never produced a car like this, one designed to compete with Europe and America’s best GT cars, but it was a gamble that paid off. While the majority of 2000GT production remained in Japan, a handful of cars made their way to other countries around the globe. The United States received only 15 percent of said production and perhaps would have received more if Toyota had built the 1,000 examples that it initially intended to. Ultimately, only 351 examples were constructed by the time production ceased, as sales were limited largely due to the cost of the car, which was $7,000, when buyers could have a Jaguar E-Type or Porsche 911 at the time for $1,000 less. Justifying the cost of the 2000GT was difficult, as there were much more established marques and models on the market. Regardless, Toyota proved that Japan could build a sports car that was capable of competing with the West. Keen historians will be quick to note that two pre-production, left-hand-drive 2000GTs were constructed before chassis 10083—chassis 10081 and 10082. Both were originally built as right-hand-drive examples but were later converted to left-hand drive, eventually selling to Belgium and Denmark, respectively. 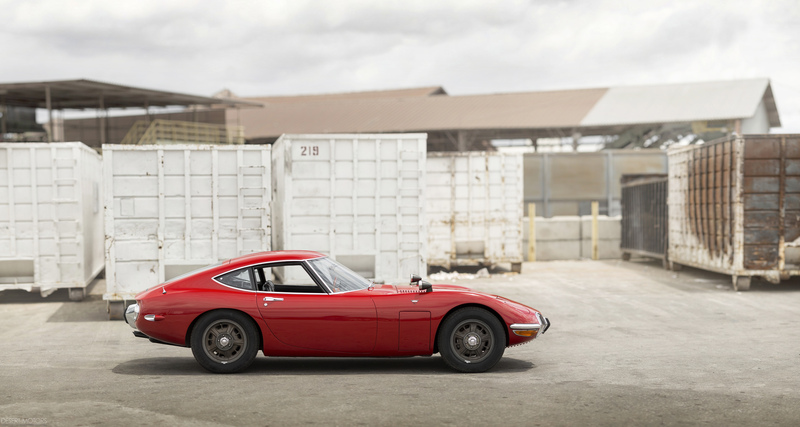 Chassis 10083, on the other hand, was the first 2000GT designated as type 36011 (designating left-hand drive), with production code 20 (designating U.S. delivery). The car was destined for the West Coast and shipped new by special-order to Toyota of San Francisco. It was purchased by Scott Pfefer, a well-known sports car enthusiast living in the Bay Area, and was registered on California “black plates” VOH 932. It is reported that Pfefer drove the car frequently and had it regularly serviced at Toyota of San Francisco. During his 10 years of ownership, he drove this 2000GT nearly 66,000 kilometers. The car was then purchased in the late 1970s by Oggie Davis, an authorized Toyota dealer in California, and was then acquired by Alex Sokoloff, of Palo Alto, sometime thereafter, until it eventually joined the collection of Jim Thelan, who amazingly owned another 2000GT. Several years later, the car was sold by Thelen to a Japanese enthusiast, who retained it for some 20 years before its acquisition by the present owner. 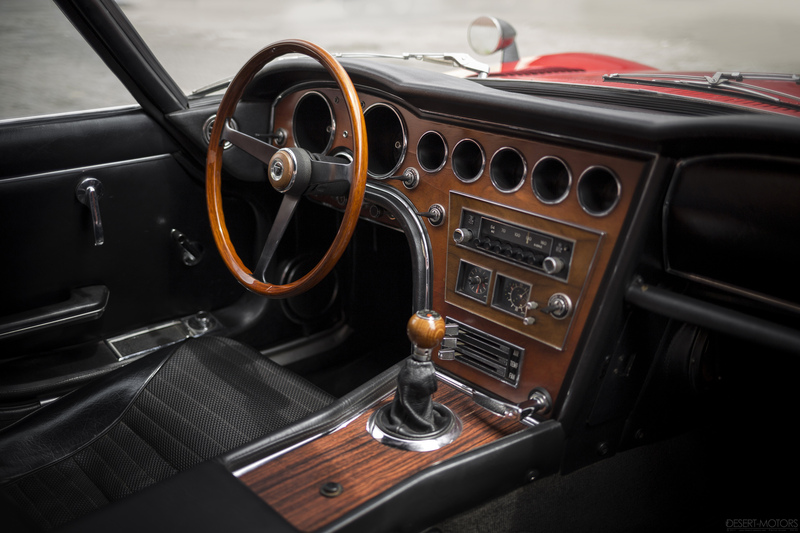 The 2000GT has never been fully restored or involved in an accident, and it remains in excellent condition to this day. After being purchased by its current custodian, the original wheels were fitted with new tires, the wheel bearings were replaced, and the Solex carburetors were rebuilt. The car, showing 68,953 kilometers at the time of cataloguing, which could very well be original, appears in remarkable condition considering its age, which is clearly a direct result of careful maintenance in the hands of enthusiastic owners. Aside from a repaint early in its life, the car appears to be almost completely original. Chassis number 10083, presented in vastly unrestored and original condition and boasting known history as the very first U.S.-specification example, is undoubtedly one of the nicest 2000GTs in existence and among the most significant for an American buyer. The opportunity to add this exceptional example to one’s collection will likely not present itself again anytime soon.